Walking tour is, perhaps, the best way to explore the city, especially if it's your first visit to the area. 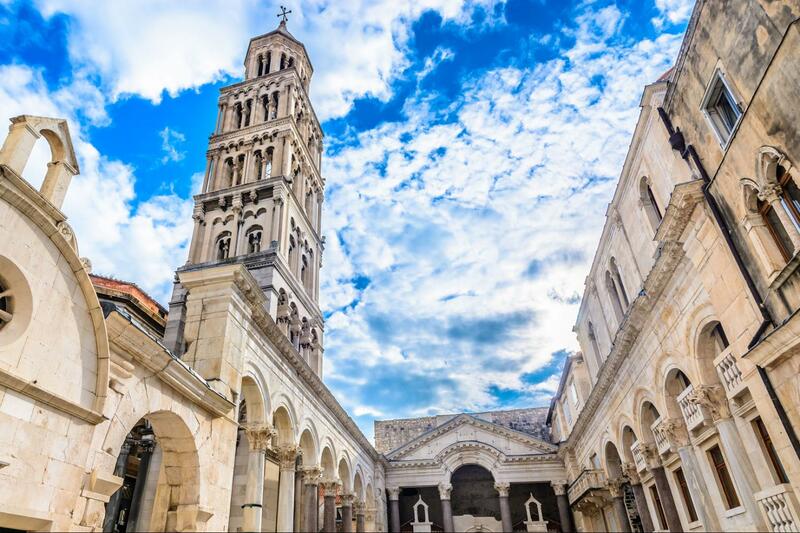 This walking tour covers the Diocletian's Palace and the Historical Complex which form part of the UNESCO World Heritage List. You'll take a pleasant hour and half long walk through the city with a professional guide and listen about the history and legends of this city that has become the center of Dalmatia. Travel through the time, go back all the way to the ancient Roman Empire while walking through the streets and squares of the old Diocletian's Palace. Later on continue the tour observing how the Palace was slowly transformed into a Romanesque, Renaissance and Baroque city. Your guide will give you some inside tips on what to do and where to go while you're in Split. The price doesn’t include entrance fees to churches and museums, however, you can buy these tickets on spot and our guide will take you inside each and every monument you decide to visit. After the walking tour is finished, the guide will leave you where the tour began or you can choose to stay on your favorite spot in the city and contemplate the surroundings.